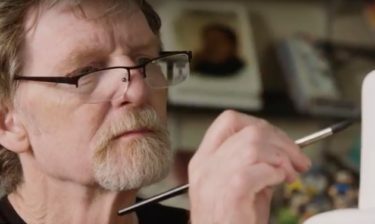 The U.S. Supreme Court issued its much-anticipated decision in the Masterpiece Cakeshop v. Colorado Civil Rights Commission case this morning, ruling 7-2 in favor of Colorado Cake Artist Jack Phillips. “Jack is relieved and delighted,” said Alliance Defending Freedom Vice President Kristen Waggoner shortly after the ruling. “It’s been a long six-year battle.” Waggoner presented oral arguments before the Supreme Court last December. Waggoner said this ruling could have far-reaching implications on other cases, including a pending case regarding Washington State Florist Barronelle Stutzman, who spoke at NC Family’s Greenville Dinner on March 12, 2018. Waggoner said this same type of “religious hostility” has been aimed at Barronelle in the Arlene’s Flowers v. State of Washington case, which has been appealed to the U.S. Supreme Court. It is not apparent from today’s ruling how the U.S. Supreme Court might rule on other similar cases in the future in which there was not the same display of hostility or lack of neutrality.